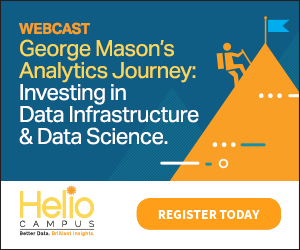 In this webcast, you’ll hear directly from leadership at George Mason University on their analytics journey, including their historic growth, how their vision evolved and what they are hoping to accomplish next with their analytics initiative. To view a recording of the webcast, click here . To download the slide deck, click here .